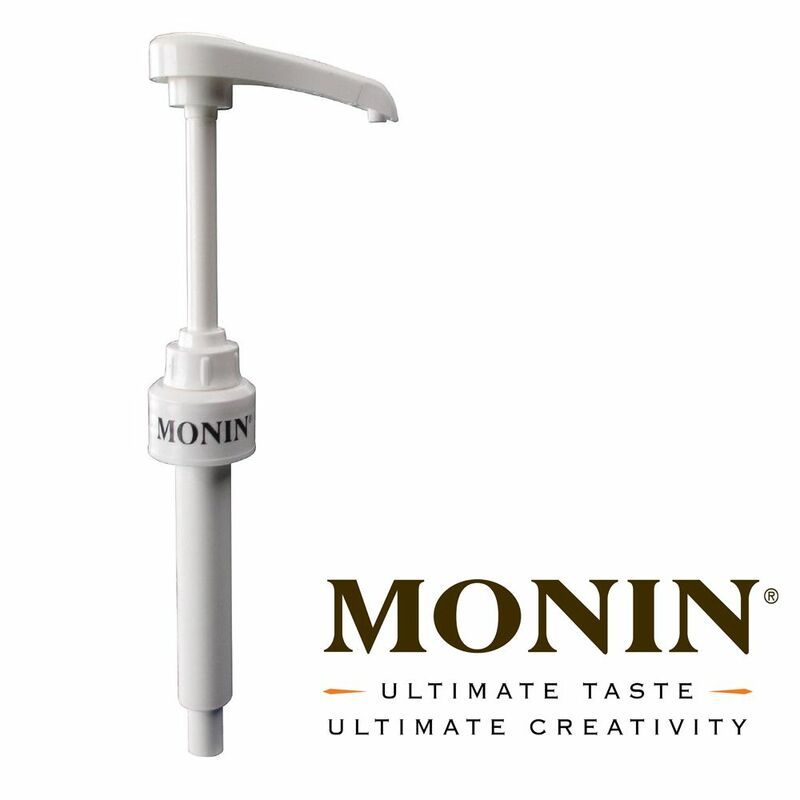 White Monin 1l Syrup Pump. This pump is designed to dispense Monin syrup from 1l plastic bottles. Want to add Monin syrup to your beverages without the sticky residue on your fingertips? Well, look no further as we stock Monin Pumps that are specially designed to dispense 10ml portions of syrup our of the 1L bottles of syrup. Made of a strong, white plastic, this pump is long-lasting and simple to clean! To use this pump, insert into the 1L Monin bottle of your choice and press the head of the pump down and enjoy a 10ml portion of syrup! This pump takes the stickiness out of your favourite syrups, leaving your experience even more pleasant! With the smooth and glossy finish of this pump, it is also incredibly easy to clean and transfer to another bottle of Monin syrup. Suitable for use with 1L Monin plastic bottles solely. The dimensions for this pump and packaging are as followed: 29.8 x 17 x 3 cm. This product comes ready to use. Please clean thoroughly after every use to ensure pump works to its full capacity for every pump of syrup.